In Myanmar, as labourers move out of agriculture in favour of non-farm work, farmers are facing high labour costs and significant shortages in labour availability. Although mechanisation of farm production can be a key strategy to substitute labour, high cost, poor infrastructure and lack of training in Myanmar remain significant constraints to increasing the use of machines. 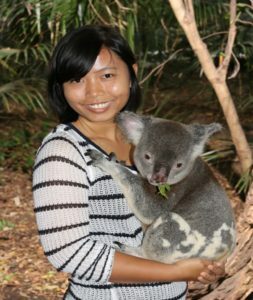 These complex issues were the focus of Aye Sandar Phyo’s presentation on 10 May at the EcoScience Precinct in Brisbane, as part of her Crawford Fund Fellowship. Sandar discussed changing livelihoods, labour shortages and farm mechanization in rural Myanmar in her Crawford Fund Fellowship address. The aim of the Fellowship is to provide further training of a scientist in agriculture, fisheries or forestry from a selected group of developing countries, whose work has shown significant potential. Sandar is a research associate with the Asian Institute of Technology, contributing to the ACIAR project ‘Strengthening institutional capacity, extension services and rural livelihoods in the Central Dry Zone and Ayeyarwaddy Delta regions of Myanmar’ where her work focuses on understanding household livelihoods and decision making to inform a broader suite of technical interventions to improve agricultural productivity. 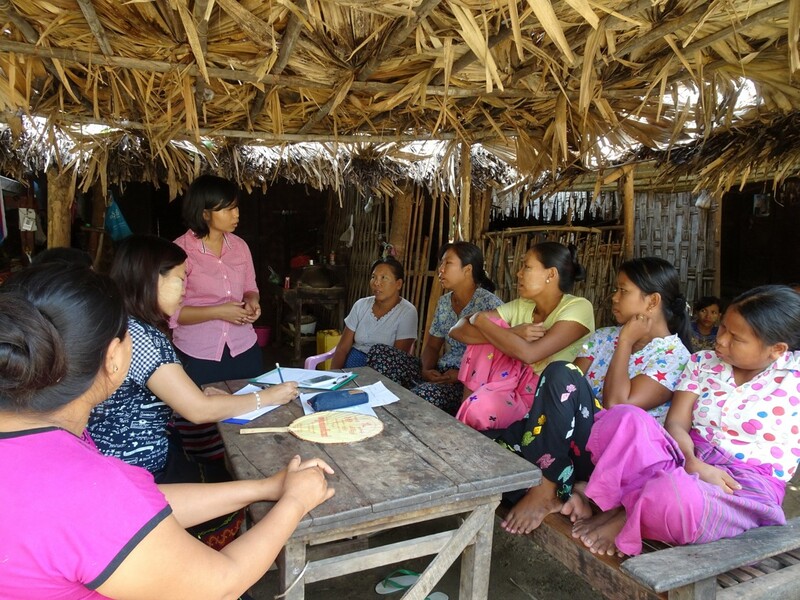 Early field work in Myanmar highlighted changing labour dynamics as a key factor in agricultural production. Sandar’s Crawford Fund Fellowship has allowed her to analyse these dynamics further, while developing her skills in scientific writing and publication. Sandar facilitating a focus group discussion on extension services in Sep 2015. Photo - Michelle Carnegie. 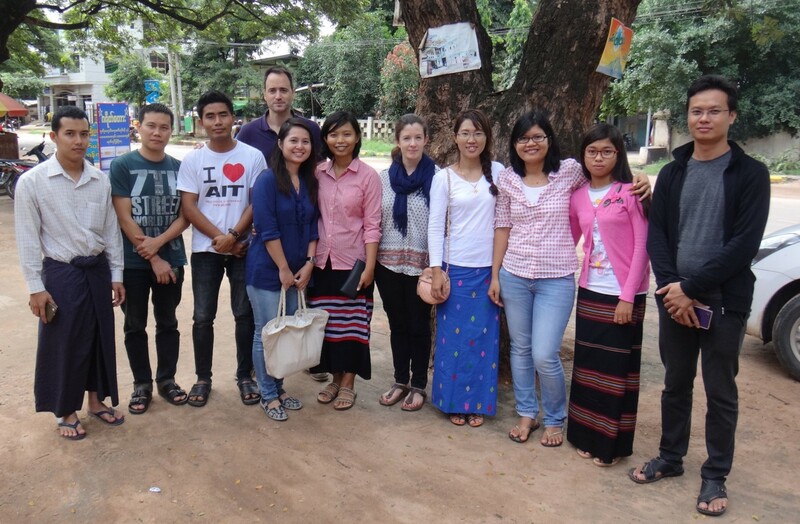 Team photo after completing focus group discussions on household livelihoods in the Central Dry Zone, Oct 2015. Photo – Clemens Grünbühel. 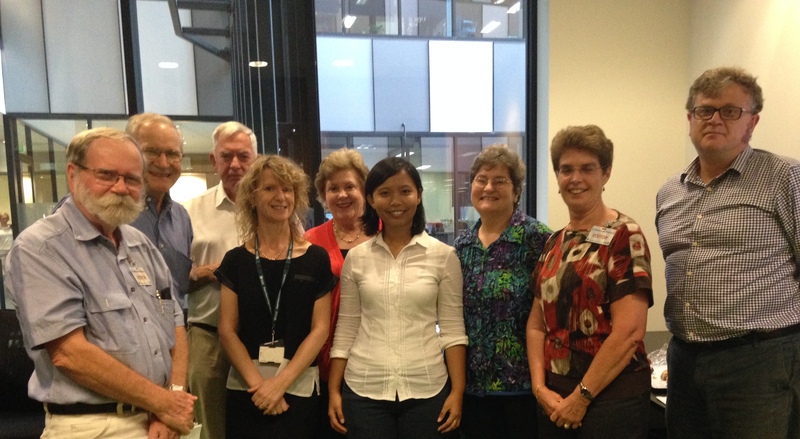 During her eleven week Fellowship visit, Sandar was hosted by CSIRO Land and Water, based in Brisbane where she benefited from two training courses in scientific writing and publishing with impact to support the development of a manuscript. She has also taken the opportunity to discuss her work with scientists at The University of Queensland and the CSIRO, developing her networks and understanding of the breadth of theories and approaches in international agricultural research. Reflecting on the training courses, Sandar highlighted the teaching approach taken in Australia compared to back home. “The teaching style here is very different. In Australia, the teacher encourages participation and for students to speak up in discussion, which makes the class interesting and time goes quickly,” she said. The courses have helped her to take her analysis on farm labour and mechanisation, and develop a manuscript to publish the findings more widely. With significant international interest and development efforts underway in Myanmar, making this analysis available is important to support the development of appropriate programs and policies. 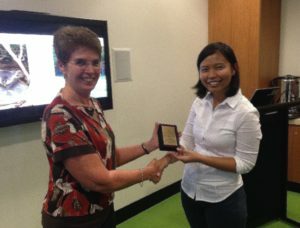 “Being a visiting scientist in CSIRO for eleven weeks, I got the chance not only to improve my research writing skills but also to know different learning environments through classroom training, workshop and informal meeting with scientists from CSIRO and UQ,” reported Sandar.